Arun District Council had undertaken a number of studies over a 10 year period to revitalise and enhance Bognor seafront. SPACE & PLACE was brought in to help review these studies and create a seafront zoning masterplan that can be implemented in phases. 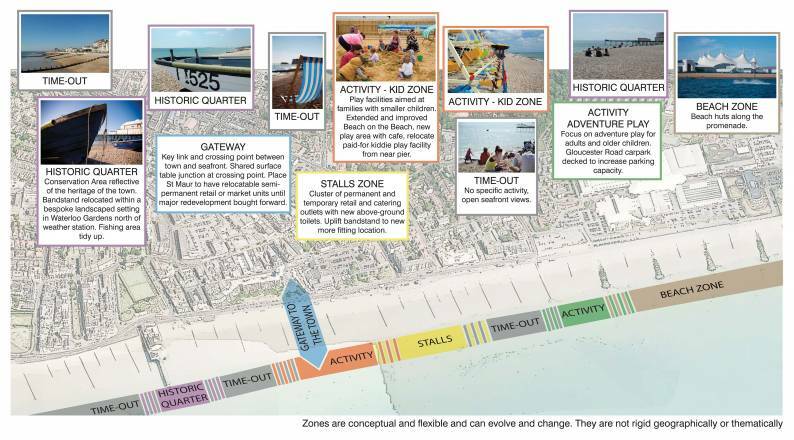 This non-prescriptive study was intended to help the Councillors to focus on the seafront wide redevelopment rather than individual and stylistic detail so that funding packages and principles could be approved. It is hoped that the first phases of increasing beach hut provision and prototype concession units will go ahead ready for the 2017 summer season.